Brisbane-based IronRidge Resources (AIM: IRR) have given an upbeat update on their Cape Coast Lithium portfolio in Ghana, West Africa. 4,684m Reverse Circulation (‘RC’) exploration and resource drilling completed at the Abonko target and Ewoyaa Lithium Project (“Ewoyaa”); coarse visible spodumene intersections returned at Abonko with assays pending. 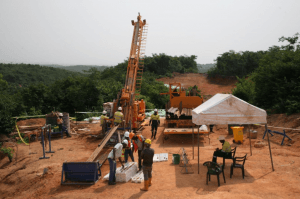 1,000m Diamond Drilling (‘DD’) programme underway for density, metallurgical test-work sampling, geotechnical and RC drill hole twinning for resource estimation sign-off at Ewoyaa. Significant visible spodumene in the diamond drill core; providing confidence spodumene is the dominant lithium phase; simple process flow sheet envisioned. Multiple high-priority targets defined in the high-resolution helicopter magnetics and radiometrics geophysical survey completed over the Saltpond and Mankessim licenses. Drone survey completed over Ewoyaa and Abonko targets for detailed digital terrain model (‘DTM’) to use in resource estimation and project studies. Ongoing pitting continues to define additional pegmatite targets adjacent to the Ewoyaa deposit; larger pitting and auger programme planned. “We are pleased with the progress of field activities at the Cape Coast Lithium portfolio. We are advancing on multiple fronts including exploration and resource drilling, implementing metallurgical sampling and test-work programmes, and advancing our regional exploration programmes. Coarse visible spodumene has been intersected in multiple RC drill holes at the Abonko target, whilst infill and extensional drilling at Ewoyaa continues to confirm spodumene mineralised pegmatites with assays pending. Visual confirmation of crowded spodumene in metallurgical diamond drilling currently underway at Ewoyaa provides confidence that spodumene is our dominant lithium phase, and at depth. Review of the combined lithium LIBS geochemistry and recently acquired airborne geophysics has defined multiple high-priority pegmatite targets. The second phase RC drilling programme has been completed over the Ewoyaa and Abonko targets with a total of 4,684m for 44 drill holes completed. Drilling was designed to test the Abonko target as well as infill and step out resource drilling to test the northern extensions at Ewoyaa where mineralisation remained open. A total of 15 drill holes for 1,462m was drilled at Abonko and 3,222m for 29 holes at Ewoyaa for the second phase RC programme. Multiple pegmatite intervals with visible coarse spodumene were intersected at both Abonko and Ewoyaa with assay results pending. A 1,000m metallurgical diamond drill core programme is currently underway at Ewoyaa where the metallurgical drill holes are being twinned with selected existing RC drill holes to meet several objectives including; RC drill hole twinning and density measurements for resource estimation, metallurgical test-work samples, and geotechnical measurements for future mining studies. Diamond drilling to date has visually confirmed crowded spodumene mineralisation at depth, providing confidence that spodumene is the dominant lithium phase with a simple process flow-sheet envisioned. 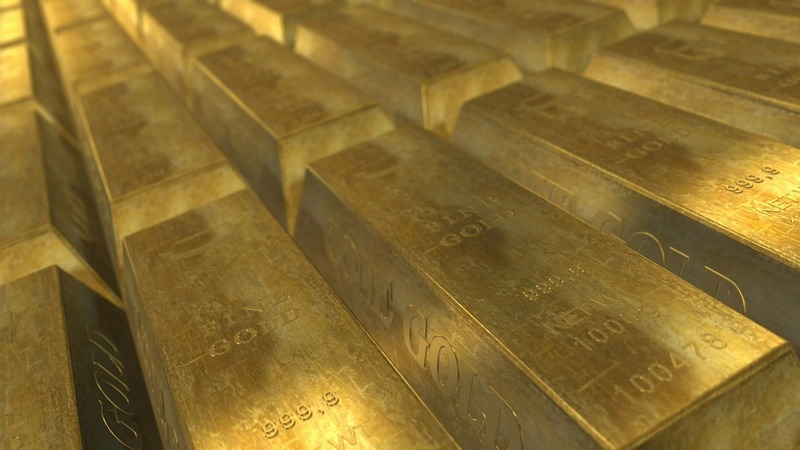 On completion of the diamond programme, representative intervals will be selected and shipped to Western Australia for preliminary metallurgical test-work including sizing and beneficiation test-work during Q2 2019. A drone survey was completed by Sahara Natural Resources, Ghana over the Ewoyaa and Abonko deposits to generate a detailed DTM for resource estimation purposes and future mine studies (pit optimisations, mine infrastructure planning, waste and tailings design, etc). The survey was successfully completed and data captured is now being processed for final deliverables. Sahara DJI drone next to ground survey control point (left) and operator (right). Deliverables from the recent Saltpond helicopter high-resolution magnetics and radiometrics survey were received; completing the geophysical data set along the Barari-Saltpond pegmatite trend. Interpretation of the combined geophysical and lithium in soil LIBS geochemistry survey (refer RNS of 17 April 2018) is underway with new coincident target areas evident in the data sets, see below. Lithium in soils from regional 100m x 100m soil sampling grid and LIBS analysis over the Saltpond and Mankessim license areas with known spodumene pegmatites labelled and additional anomalies evident. For more information on what IronRidge Resources have planned for 2019 watch our recent interview with their Chief Geologist, Lennard Kolff. Text and imagery supplied by IronRidge Resources.